This blog post contains some of my thoughts which are not affiliated in any way with any organisation. Traditions are wonderful when they help the youth of today to achieve. 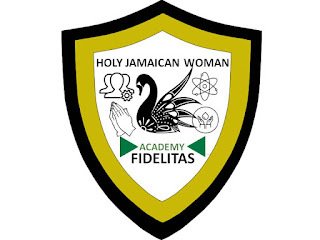 It is an interesting state of affairs that not one of the schools that were established for the education of girls in Jamaica has a name that projects positive feminine qualities of the Jamaican woman which, for the purposes of this blog, I am limiting to the condition of being female in Jamaica. I have thought, in particular, about the name St Hugh's High School For Girls. This school was established in 1899 for the education of children up to the elementary level and girls at the secondary level. It was founded by a faith-based institution, The Deaconess Order, and they lovingly called the school Deaconess High School in honour of the work that they did in Jesus' name. In 1925, the Jamaica Schools Commission requested that the name be changed, and the then principal selected the name of her prestigious college at Oxford University in the UK. 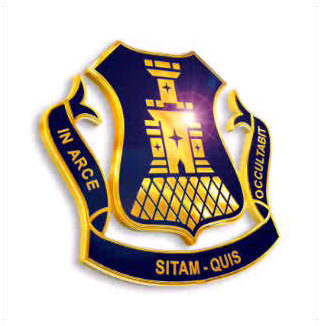 The Jamaica Schools Commission nodded, the school owners offered no objection, and with ongoing astute leadership and practical support for infrastructure and academic staff, the school's reputation grew under the St Hugh's brand. The Jamaica High School that was founded in 1921 suffered the same fate in 1929 when the Jamaica Schools Commission requested that the name be changed; the accepted name was St Andrew High School for Girls. So, after 26 years of existence, Deaconess High School had a name change. 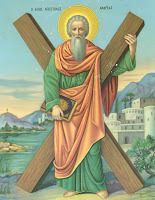 St Andrew, Mt Alvernia and Hampton also underwent name changes for different reasons, so names are changed to serve current political demands, not to elongate traditions, for the sake of traditions. This is my view and my view only. In 2019, St Hugh's will achieve its 120th anniversary, and I propose that this significant milestone be used to return the name of the school to one that puts femininity at the centre of its purpose guided by a Christian philosophy. I would further want the word Jamaica added to the name so that it has a cultural resonance. Today's Jamaica has fifteen secondary schools for girls, three of these are named after women, and one is for the city in which it is located. Aside from Montego Bay High School that was founded in 1935, no other school has a name that is distinctly linked to the culture and traditions of the nation of Jamaica. In this regard, Mo Bay High, is for us, a beacon in the West. I also uphold the name of Merl Grove as beautifully sentimental, as it is an acronym formed from the first letters in the names of the five children of the fatherly founder. "A city set upon a hill cannot be hid"
On the other hand, the schools for boys deepen and highlight aspects that can be more easily accepted as a male condition. I have listed the names at the end of this article. The names for boys schools reflect a presumed ownership of the country and the spaces that the schools occupy; preserve the name of their benevolent founder or, in the case of Calabar, contain aspirations and pride of being a black person of African ancestry. These names, and the iconography and branding that have been developed for them, are attachments that help to build confidence and an affinity with their school community during youth. Someone who is reading this is saying, "This is so not necessary", which is a Jamaican idiom and also a euphemism for "I do not want to talk about this because it makes me uncomfortable," but it does not change the fact that the girls are being short changed! "No, no. I support Calabar. My husband used to be on the school track team." Perhaps even a small step like a renaming exercise will motivate many women and girls to consider celebrating the good aspects of their own scholastic adolescence. To support a school team is to hopefully support today's youth and or nurture your own nostalgia; to support a national team is hopefully an act of civic pride; and to support a sports club is to indulge in fanaticism and maybe some hero worship. We, in Jamaica treat high school sports, starring children who are not connected to us, as if they were club sports. Let us acknowledge the purpose of school sports as one aspect of childhood development and celebrate it appropriately. The ownership of the school - a faith-based institution. The proposed name is The Holy Jamaican Woman Academy short form Holy Woman. The swan mascot still applies. This encompasses femininity, Christianity, the type of education that is offered and Jamaican culture and identity. I propose that the word woman instead of girl be placed in the name of the school as a way to promote the title of woman as a positive state of being that girls should anticipate with pride, joy and a sense of purpose and also responsibility. For extra measure, the name of the only all-girls primary school in Jamaica is St George Primary School for Girls. Cornwall - Named for the county where the school is located. “We are going to emancipate ourselves from mental slavery because whilst others might free the body, none but ourselves can free the mind. Mind is your only ruler, sovereign. The man who is not able to develop and use his mind is bound to be the slave of the other man who uses his mind….” Marcus Garvey, Nova Scotia, October 1937. "Emancipate yourselves from mental slavery, none but ourselves can free our minds." Bob Marley on the Uprising album, 1980. I edited this heavily on May 21 because I realise that my expressions were bruising dearly held opinions. My goal is not to ostracise.